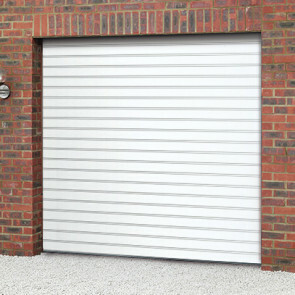 Cardale Steeline roller doors are a design proven for exceptional durability and long term performance. Simple, clean lines and an excellent colour choice are just part of the appeal of the Steeline door. Colours shown are for guide purposes only. Always request a finish sample for confirmation of colour. 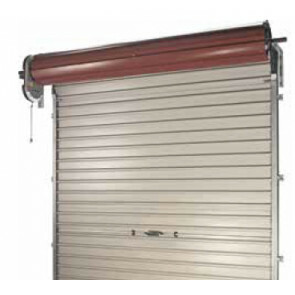 Steeline Roller Doors (non insulated) Cardale Steeline rollers are made of steel and feature a horizontal ribbed design which is both attractive and very strong and secure. They are coated in a plastisol or woodgrain laminate finish to ensure the colour lasts and they remain maintenance free. You will need 431mm of headroom from the bottom of the lintel upwards, on doors 8'-10' high a minimum of 483mm headroom is required. For the mini version you will require 343mm. 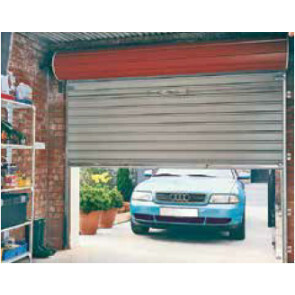 These doors can be opened manually or by remote control (by purchasing an additional operator). OGW - This needs to be your brickwork aperture size + 50mm (for openings up to 2794mm) and + 100mm (for openings over 2794mm). For example, if your brickwork opening is 2100mm the OGW needs to be 2100mm + 50mm = 2150mm. So 2150mm is your OGW and ordering size. 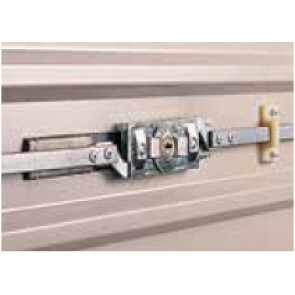 All doors require a minimum side clearance of 100mm on either side of the brick reveal for tracking and tolerance. Please note if you intend to add a motor, you will need a minimum of 150mm on the side that you choose to fit the motor to or 180mm for a Steeline Mini.